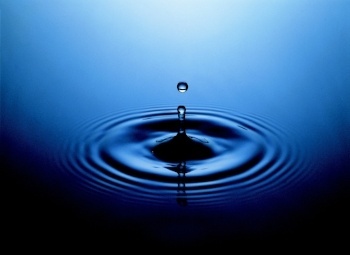 Food is important, but water is vital. A natural disaster such as a hurricane, flood, or earthquake can easily knock out public utility lines, leaving you without water for days or even weeks. Water not only takes up a fair amount of space, but it's heavy as well, especially when you're talking about enough clean water to last several weeks. It’s always good to have a backup supply of water in jugs or bottles. It's even better to also have a filter or water-treatment solution so you can provide clean drinking water for your dog or cat. Filtration systems are preferable, but they can take longer to clean the water, in which case purification tablets are handy in a pinch. So it's best to have both. Here are some of our favorite options. How Much: 1–2 weeks worth of food. How to Store Food: Canned food, if unopened, will stay fresh for 2–5 years. Dry food can last for about a year in the bag, but will only keep for a few weeks after the bag is opened. Keep your food stored in a cool, dry place where the temperature won’t rise above 100°F (38°C) or fall below 50°F (10°C). If you want to set aside dry food, keep a vacuum-sealed bag on-hand and rotate out the food every 1–2 months to keep it fresh for when you need it. For more information about building a pet first-aid kit, check out our complete guide, shopping list, and direct links to some of our recommended brands and products. 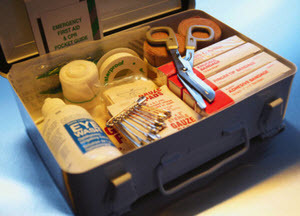 Putting together a smaller, "travel" first-aid kit: So you can have a first-aid kit at the ready during an emergency, we have indicated items that can be included in a smaller, secondary emergency kit for your car. Just look for the 🚗 icon. What Type? 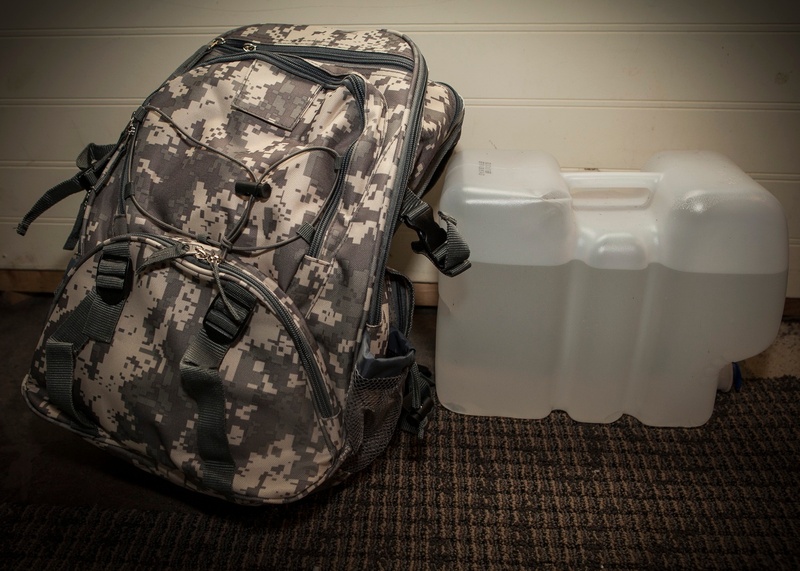 Either a waterproof backpack; a duffel bag; or a large, sealable plastic tub. Which is Best? If you need to hunker down in your home, a plastic tub might be easiest to store. However, for an evacuation, a backpack or duffel will make for easier transport. In either case, choose a waterproof option to protect your emergency pet supplies from floodwaters, rain, etc. For a backpack, make sure it's not only waterpoof, but has compartments to easily section off different items and (preferably) has webbing on the outside or some other way to hang extra items — like water bottles, "dry bags," a flashlight, and even a poo bag holder. TIP: Take a photo of your emergency kit and where it's stored in case you need to instruct a family member or neighbor on what to look for and where to find it in the event of an evacuation. Use: For helping to restrain your dog and lead them to safety. Can also be used for a makeshift muzzle, if necessary. Check out this video to see how to make a muzzle out of your dog's leash. Label the Crate or Carrier: Get a sticker or label for your crate/carrier and include your pet’s name, your name, and how to find you. Also include any important medical information for your dog or cat. And if you haven't yet, make sure your dog's or cat's ID tags are up to date. 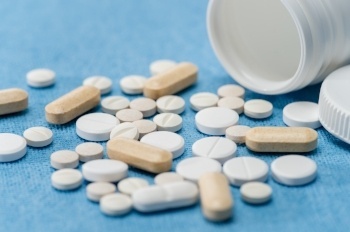 Store an extra 2–3 weeks worth of any medications your pet needs for a chronic condition. Ask your vet about picking up an emergency supply and be sure to switch out the emergency medications before they expire. Keep medications in sealable plastic bags, or a waterproof case. In an emergency, your dog or cat will still need to “go” even if you can’t take them outside or give them access to their regular litter boxes. For Cats: Set aside extra litter boxes and enough litter for your cat or cats to have clean boxes for 2–3 weeks. If you click one of the Amazon links provided in this article and you choose to purchase something, Amazon will give us a "treat" (small affiliate fee) for being good. Not enough treats to make us fat (which is a good thing… we wouldn't want to develop a bad case of pancreatitis or become obese), but enough to keep us happy while we review more great products and write even more articles about important stuff that you’re gonna need to know. So thank you for the treat. You can’t see it... but our tails are wagging! Additionally, we are NOT compensated by any company for recommending their product. We make our own assessment and provide recommendations we feel will be most helpful for you.